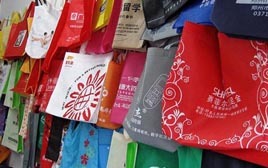 Is a professional recycle bags manufacturer in China, our main products including non woven bags series, PP woven bags series, PET/RPET bags series, cotton & canvas bags series, nylon & polyester bags series, etc. Our products already well received in Europe, America, Japan, Malaysia, HK, Taiwan and China since 2003. 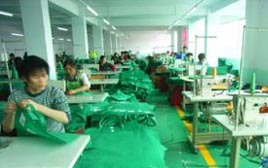 We have more than 300 employees with modern standard workshop, advanced imported equipment as well as high quality management and technical researchers. All of our products aim to be perfect from design, choice of material, production, packaging, and after-sales service. Based on our principle of "Quality defines existence and management is the key for development", we continually strive to exceed our customers' expectation. We sincerely hope to cooperate with customers from all over the world to build long-term business relationships, If you have any question of our products, Just feel free to contact us. We will provide you professional advises and are looking forward to receiving your inquiry. Same service, we compare with speed.